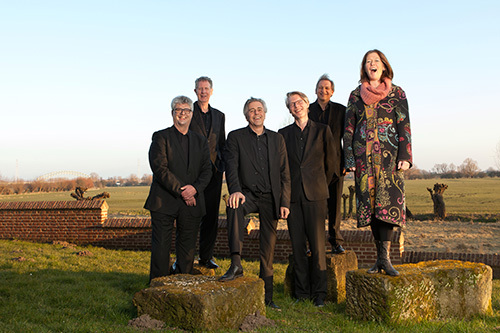 On this page you will find downloads of our biography, program notes (Word document and pdf), our logo and the picture of the Hexagon Ensemble in high resolution. Click on the respective button or link to start your download. Photographer: Harry Smits. When using this picture please mention the name of the photographer.